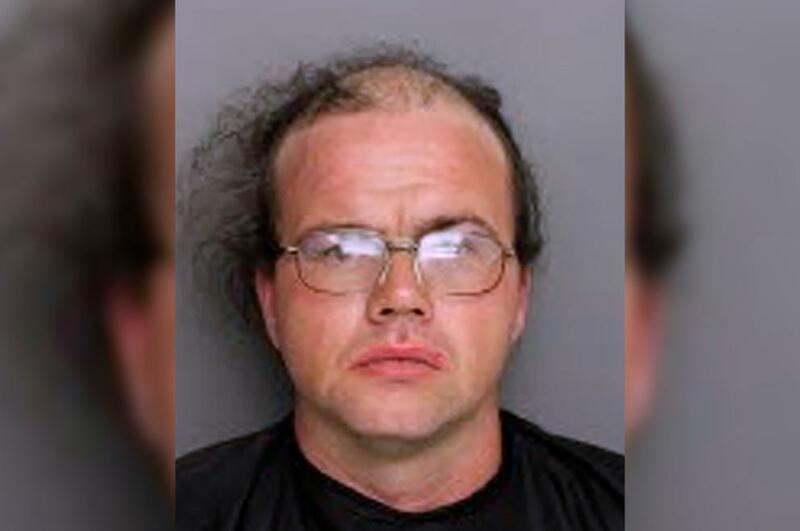 A man pretending to be a woman took video of a woman from under the stall divider of a convenience store bathroom in South Carolina. The pervert carried out his deed by wearing a wig, makeup and women’s clothing. Greenville police say the victim was initially suspicious of the person when she knocked on a stall door Sunday and heard a male voice. But she was reassured after peeking under the door and seeing women’s shoes so she let matters be. The pervert was busted, however, when moments later the woman saw a cellphone appear under the divider from the next stall and immediately called 911. Police responded and arrested the pervert. The suspect was identified as 38-year-old Shawn Thomas Hallet of Levelland, Texas. The police found of video victim on the phone. Hallet was charged with voyeurism. Social media users are reacting strongly to the story. The pervert remains in jail. Records did not indicate if he has a lawyer. It is not clear if the store personnel didn’t notice anything strange with the disguise from the start, or if Hallet pulled off the act credibly before he was busted.